New Science and Social Markets: How immune is your organization to mass retirement? How immune is your organization to mass retirement? Were you born between 1954 and 1964? YES - move to paragraph after the graphic. 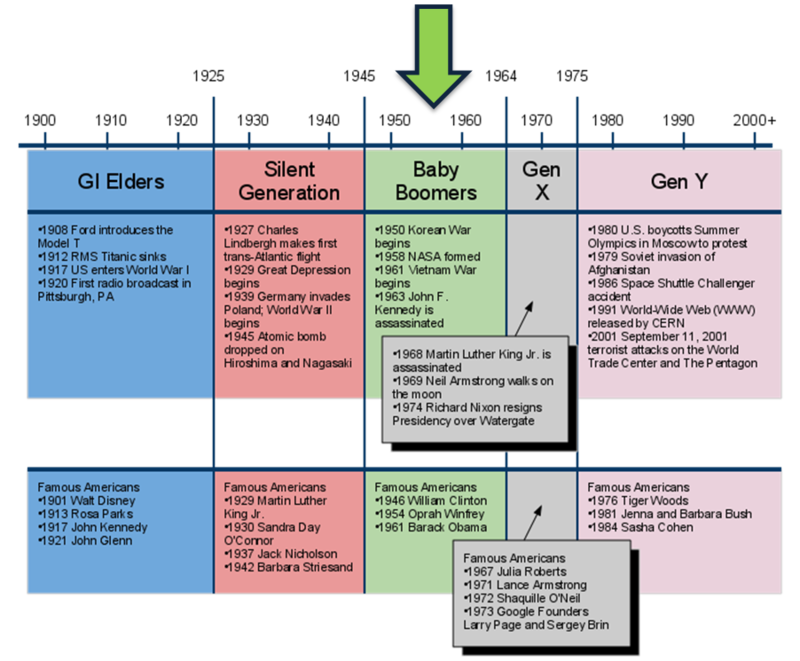 Those born between 1945 and 1964 are named "baby boomers" (boomers) and they represent 76.4 million people. In case you don't know, every eight seconds, there's a new boomer who turns 60. Chances are he/she works in your organization. 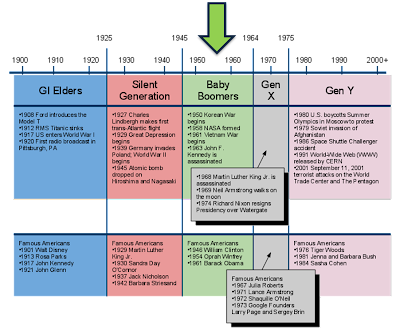 When talking about boomers, our brain often makes huge mistakes. The biggest of them is to think that all boomers are people that know nothing about computers and/or the benefits of social networks. Let's face it. Steve Jobs was born in 1955. He is now 55! As the generation that took us to the Moon, and invented the internet, retires, those staying behind need to resolve an emerging problem. How will organizations exchange knowledge from those that have it (knowledge holders) to those who need it (learners), in an easy and affordable way? After the 2008 recession, many stopped worrying about this problem. However, organizations cannot underestimate the seriousness of the situation, because most of their institutional knowledge is undocumented. It was to solve this problem that we have been working for the past 2 years on a knowledge exchange. We call it Olexe - Open-Learning EXchange Engine. Who said retirement would be boring... or just golfing?